Reaction was swift from leaders around the world even though information was scarce and not always definitive after an attack at a Munich shopping mall. 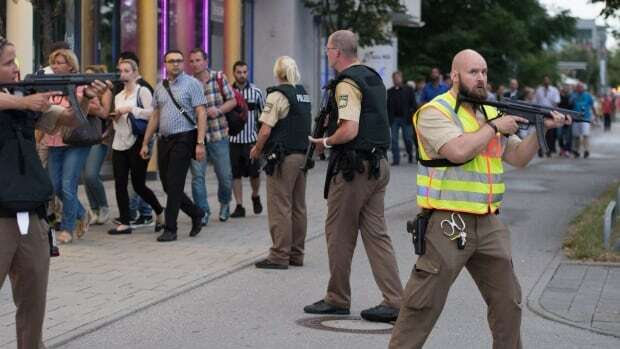 Hours later, police said they believed a lone gunman was responsible for killing at least nine others at the Olympia Einkaufszentrum mall, before turning the gun on himself. The motives are not yet clear. It comes mere days after an attack on a German train by an Afghan teen, which ISIS claimed responsibility for, but also five years to the day 77 were killed by a Norwegian fuelled by hatred of his country’s immigration policies. Canadian leaders offered condolences and practical information for any Canadians currently in Germany. Reactions from the major party presidential candidates and other prominent politicians in the U.S. featured a mix of empathy, solidarity and righteousness, depending on their political point of view.